So today for 4th of July we went to Newport Beach to go fishing. Newport Beach is apparently a majorly major tourist destination so the beach was full of people getting drunk and smoking and yelling and being crazy. Yeah, no better way to celebrate the country's independence than to shout obscenities and drop cigarette butts all over the beach. And I don't even live there. Now I get how Qui feels. We went to the pier I wasn't planning to fish so I just sat in my chair reading a Maximum Ride book. My brothers stuck their poles in the water and schlepped around for a couple hours occasionally re-baiting the hook or whatever you do to fishing poles. They took a break to use the bathroom, and while I was sitting there on the pier the line started jumping around. I went to look, and it looked like there was a fishy on the line so I tried to reel it in and for some reason, the handle chose that moment to stop working so I just grabbed the line with my hands and pulled it in. It was a little anchovy whom(who?) I named Reginald. My brothers decided to chop Reginald up and use him for bait. Reginald was the only fish we caught all day. Hey, I didn't say we were experts at this or anything. So, I'm loving the vacation. I'm not loving tourist beach destinations on holidays. And I love you <33. OH-J and J productions, feel free to use the "8 lines that would have ended Star Wars real fast". Don't credit me as I didn't make them and I couldn't trace them back to the original owner. Happy 4th of July!! I love that picture of R2. 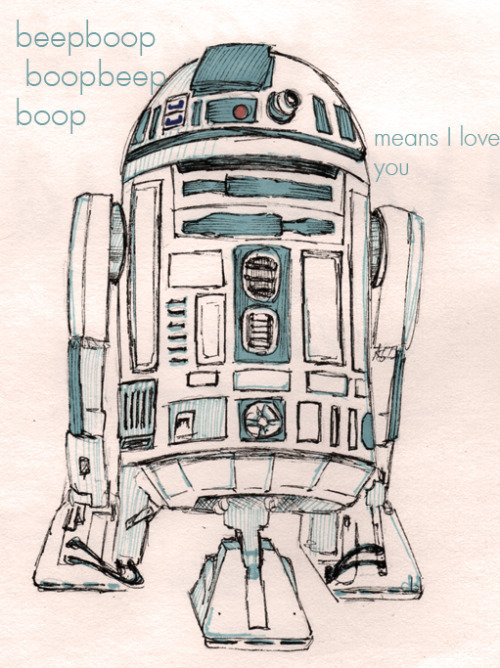 I love the Artoo pic too. ;) So cute. And, Poor Poor Reginald. I have a similar experience with a lobster we named Sherman. Sherman was already dead though. We found him without insides or a head, laying on the walking trail by the beach. We named him Sherman and when we walked back, Sherman was gone. :( Poor Sherman. Happy late 4th of July! I know what you mean about the lake. That's why I've stopped going to the lake close to where I live for 4th of July. And the saddest part is that all these people are getting drunk and partying it up with kids in the boat. The problem with book reviews.